If you’re wondering how to find email addresses, you’ve come to the right place. We’ve all been there: you know who you want to contact — now if only you could find their email address. Bonus: Find out when the emails you send are being opened. And clicked. Some might resign themselves to mindless Googling. Or try the old Rapportive guess-and-check “trick” that’s been circulating the Internet for years. Not when you could be wrapping up your email address search in under 30 seconds flat. 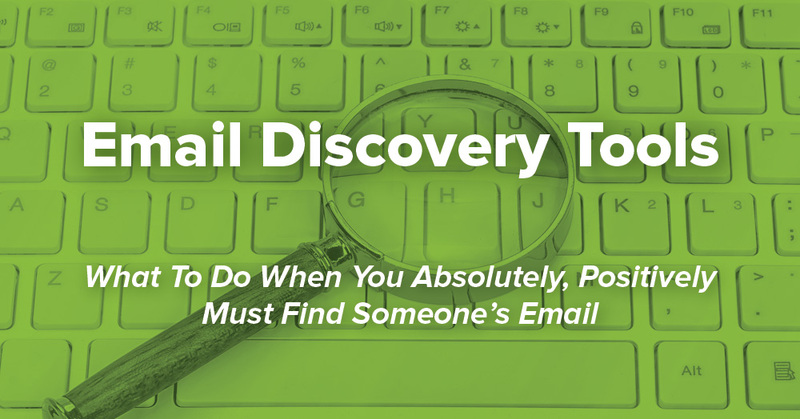 We did some digging to build a complete list of the best free tools and tactics to quickly find email addresses by name, using publicly available information. This Outlook and Gmail Chrome extension finds email addresses in less than five seconds, and we’ve found that it’s accurate 97% of the time. Just plug in someone’s company name with either their first name or job title. Once Clearbit identifies an address for you, you can one-click compose an email to that person. Click here to try Clearbit for yourself. Sell Hack is a handy browser extension that checks publicly available data sources to find someone’s email address. The free plan will let you search up to 10 emails per month on Chrome, Firefox, or Safari. Click here to see SellHack in action. 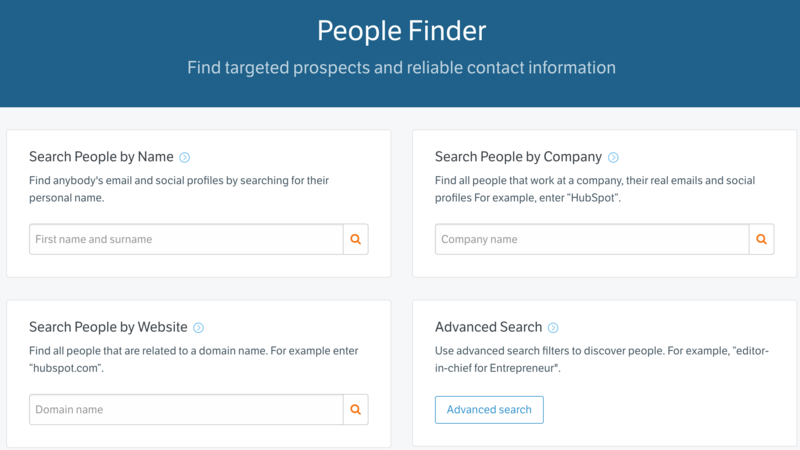 Headreach allows users to search for prospects by name, company, website, or by using the ‘advanced search’ option where you can search by job position (easy access to decision makers). Once you find your prospect, click “find (name)’s emails and social profiles” and they’ll be added to your contacts. 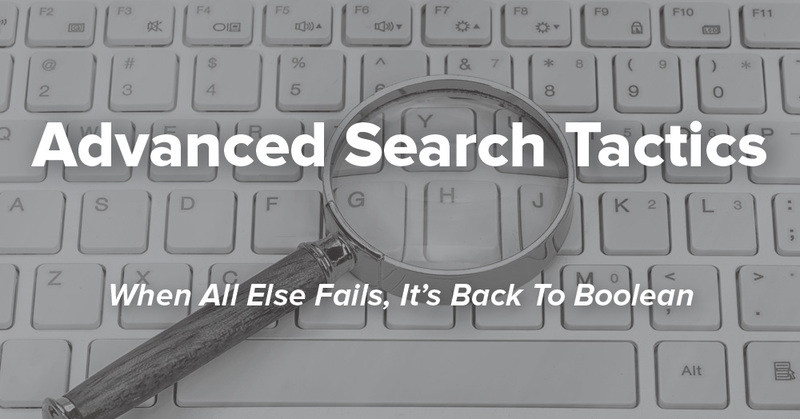 Headreach also includes a log for easy access to all of your searches. Click here to try Headreach. Findthat is a quick and easy way to search and discover how to find email addresses that you’re looking for. This database includes several diverse plans. Whether you keep it simple with the free plan (includes 15 monthly credits) or get the whole team involved (their team plan runs for $149 per month with over 3,000 credits). Search by first name, last name, and company domain. Norbert pings the mail host to confirm the correct email address, giving you 50 free searches per month. Click here for more on Voila Norbert. While simple to use — you don’t need to install a plugin — Norbert does not check for catchall addresses, and it limits the number of queries users can conduct (SMTP servers could block the service if pinged too frequently). In our own unscientific test, Norbert was able to correctly identify three out of five email addresses. A great source for account-based sales. With FindThatLead, you can search by company URL to find leads. Click here to try FindThatLead. Their free plan includes 10 credits per day (300 per month), a Chrome extension, and access to their Google Spreadsheet Add-on that lets you upload a .CSV with names and domains so you can find emails in a snap. Tired of copying and pasting emails? Save yourself time; create an email template. Another great source for account-based sales. Punch any company domain in and you’ll quickly get a list of all publicly available email addresses associated with it. You can search up to 100 domains for free each month, and plans start at $39/month if you’re interested in searching more. Click here to see Email Hunter for yourself. Toofr lets you look up email addresses by typing in your recipient’s name and company. With the free plan, you can access the top choice email addresses (as well as access to their title, headshot, and profile URL for an extra credit) and other guesses for emails ranked by confidence. 30 credits included. Click here to try Toofr. 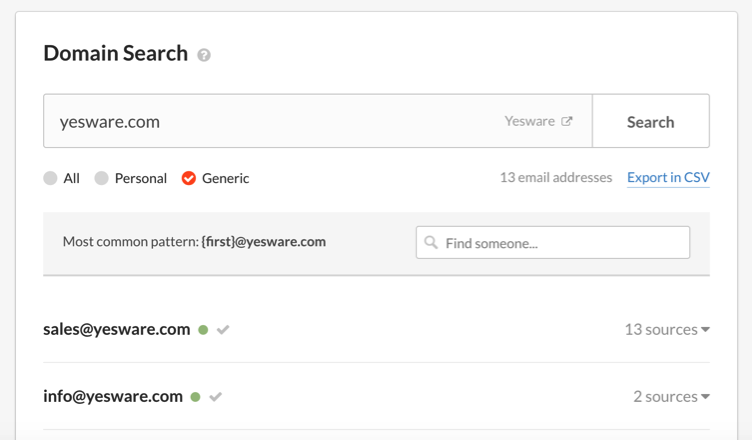 You can also search by company (“Get Emails”) or find email format patterns (“Get Company Data”). 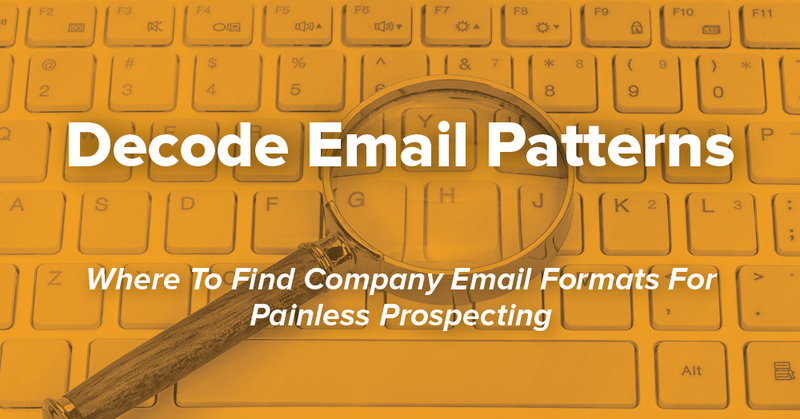 Copy the email addresses to your clipboard and paste them into the recipient line of an empty email. Hover over each email in the list. The legitimate address will display a social profile that matches the person you’re looking for. Click here to try out Email Permutator+. 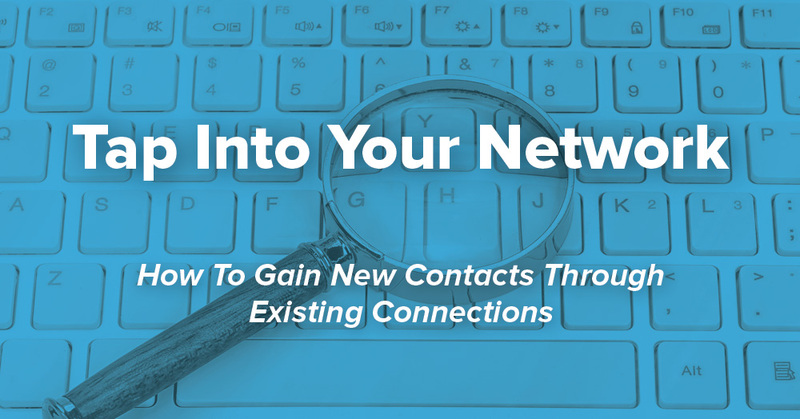 Just because you’re connected with prospects on LinkedIn doesn’t mean you have their email addresses in your Google Contacts List. The good news is that hidden away in LinkedIn’s advanced settings is the ability to export your connections, giving you up-to-date email address in your inbox. You can also use Zapier to sync new LinkedIn Connections to your Gmail Contacts as they come in. Pro tip: Don’t waste your time searching for the word “email.” You’ll just end up combing through a long list of tweets on the topic of email, and not their actual email address. 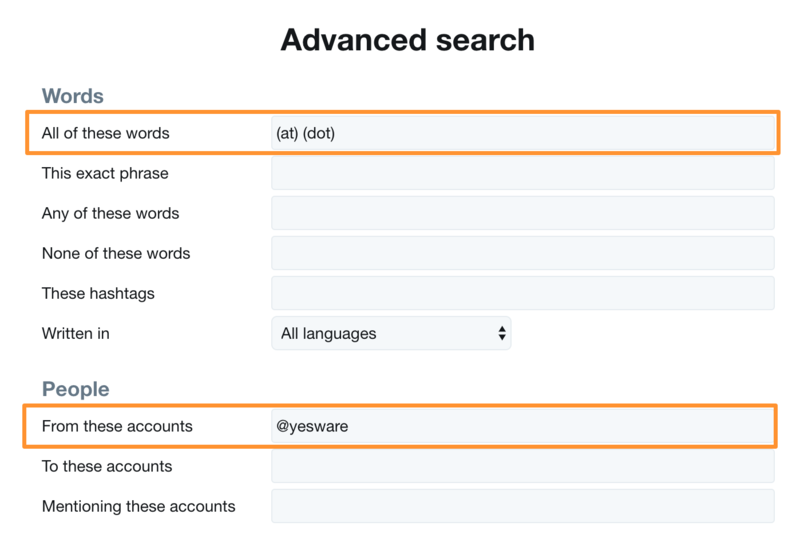 Find emails in seconds using Advanced Twitter Search. Ready for more tools that live in your inbox? Check out these Gmail extensions. Over To You – How Do You Reach The Right People, At The Right Address, At The Right Time? Now you know how to find email addresses in seconds. What tools do you use to find email addresses missing from your contact list? It’d be great to hear your experience and what you’ve found works best. 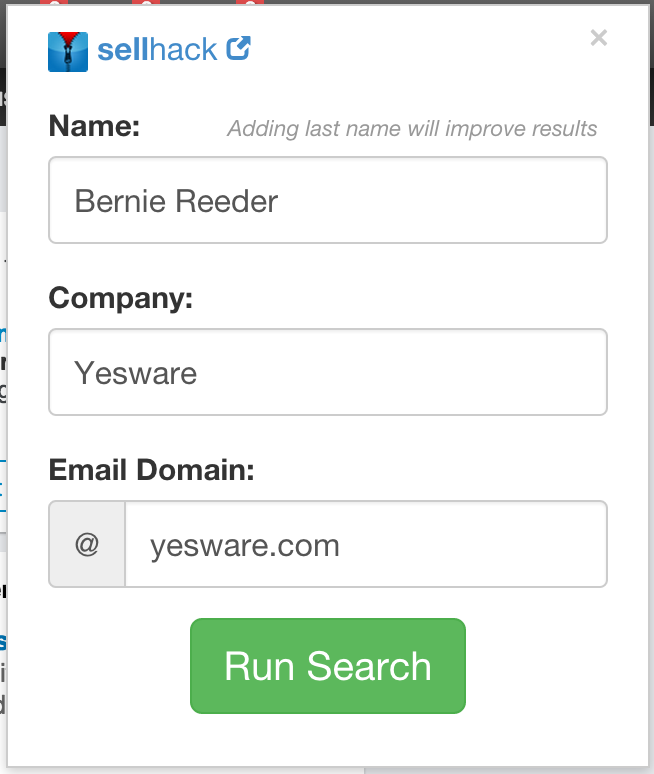 Tweet us @Yesware, we’re always looking to try out new tools and workflows!